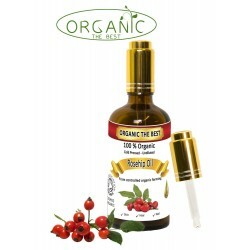 Organic oil promote a healthier lifestyle by incorporating naturopathic healing ingredients into every products. With the benefits of naturopathy known worldwide, we aim to leave your body feeling like its best self. 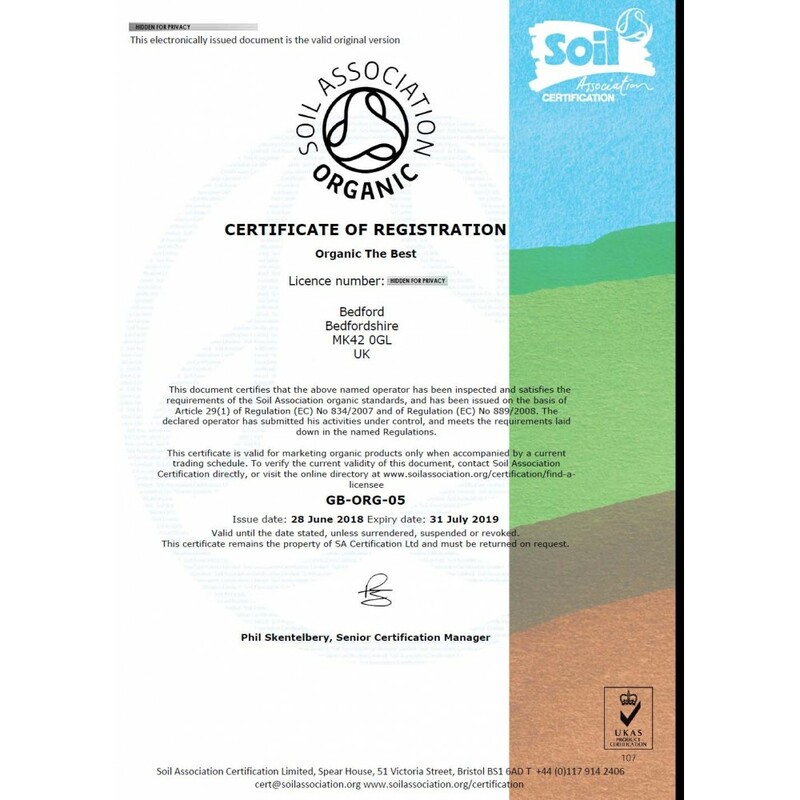 We ensure that your Organic Products is delivered to you fresh and 100% organic . Get one of your healing organic oils here available in a wide range of ingredient. Colour and appearance: Deep Amber oil. 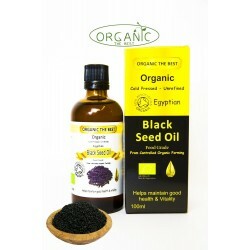 Black seed oil is made from truly a remarkable herb called Nigella Sativa, popularly known as Kalonji or Black seed, cold pressed from organic Egyptian controlled organic grown black seeds. 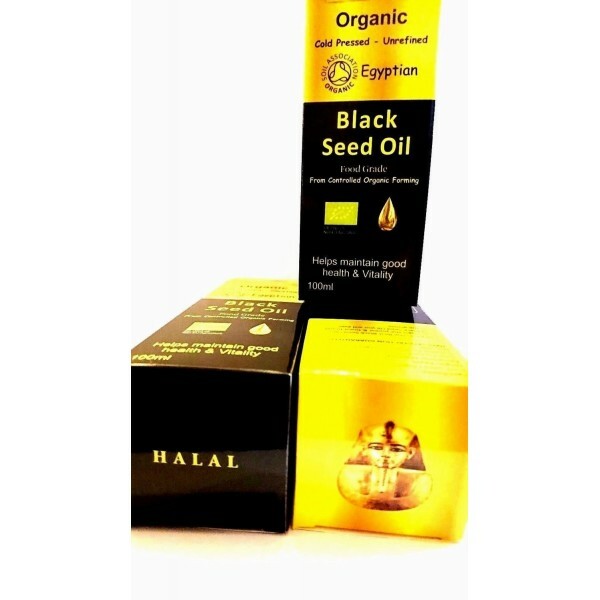 Organic the Best Black Seed Oil is unrefined, specifically for omega 3 and allowing it to retain all its natural greenish yellow colour, spicy aroma and full nutrition. This premium oil is naturally a rich source of Omega 3 with a lovely spicy taste; it offers many nutritional benefits for good health. Mix into honey, milk, juice or a hot drink or use in your everyday cooking. 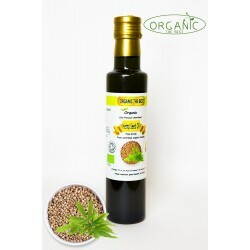 Perfect for increasing your daily intake of essential fatty acids, it may also be used in natural cosmetic formulations. Organic The Best is able to guarantee that its premium black seed Oil are 100% pure Organic and natural, cold pressed without heat, chemicals or solvents. It contains No Additives/ Preservatives/ Artificial Flavouring/ Artificial Colouring. The major active components contained in the seeds are: thymoquinone, beta-sitosterol, myristic acid, palmitic acid, palmitoleic acid, stearic acid, oleic acid, linoleic acid, linolenic acid, arachidonic acid, proteins, vitamin B1, vitamin B2, vitamin B3, folic acid, calcium, iron, copper, zinc, phosphor, and so on. Hundreds of studies have shown that the substances contained in the seeds of black cumin help to fight an increased production of bone marrow. What is more, black cumin is effective at treating the diseases of the respiratory tract, asthma, bronchitis, arthritis and the cold. The seeds boost immunity, stimulate menstruation and increase the flow of breast milk in breastfeeding mothers. The oil helps to calm the nervous system, stimulates urine production, helps to treat cough, improves digestion and helps to reduce high blood pressure. The oil is very effective at treating abscesses of the eye, the stomach and the liver. In addition, black cumin stimulates physical energy and helps in the recovery from depression and fatigue. 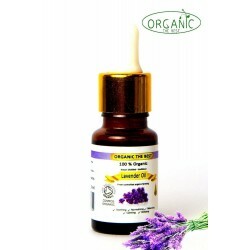 It is also an effective cure for skin diseases, such as allergies, eczemas, acne and psoriasis. The oil does not contain any artificial preservatives or artificial colours. Dosage: internal use – 2 teaspoon in the morning (on an empty stomach) and 2 teaspoon in the evening (before bedtime); cold cuisine – according to the taste and the amount of food; external use – as necessary. Storage: keep away from direct sunlight, store at room temperature, refrigerate after opening. If the temperature is low, the product may become turbid or may solidify, but the effect fades at room temperature. Use within 3 month after opening. We are committed to ensuring that our products are described and advertised in good faith. 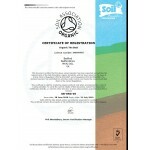 The information provided about the beneficial properties of all of our products are acquired from the use and properties commonly attributed to it.It is always recommended to seek the opinion of a professional in the field as the views expressed in the descriptions may vary from person to person’s experience and may not be based on actual facts and benefits of our products. 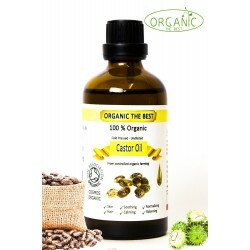 100% Pure Organic Castor Oil 100 ml100% Organic 100% NATURAL100% PRESERVATIVE FREECold-pressed singl..
100% Organic Black seed oil Nigella Sativa ..
ORGANIC THE BEST OIL 100% Organic Black seed oil Nigella Sativa ..
100% Pure Organic Essential Oil (Lavendula Angustifolia)100% Organic 100% NATURAL100% PRESERVATIVE F..
100% Organic Hemp seed oil 100% NATURAL 100% PRESERVATIVE FREE Cold-pressed single-varietal o..
100% Pure Organic Rosehip Oil reddish/orange colour100% Organic ..